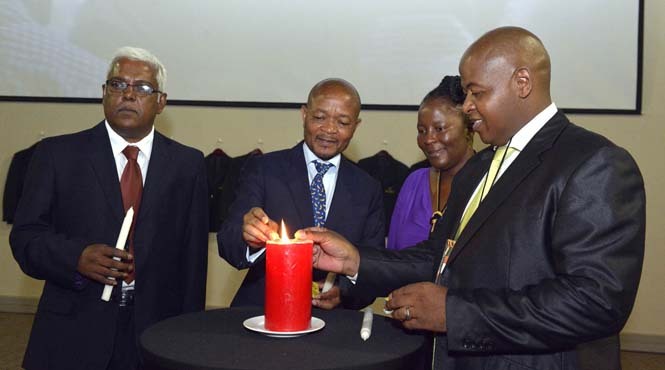 eThekwini mayor James Nxumalo and uThukela district municipality mayor Dudu Mazibuko yesterday signed an historic memorandum of understanding for co-operation on service delivery between the two municipalities. The agreement, which is the first of its kind among KwaZulu-Natal municipalities, was signed at the Patland Lodge in Lady-smith. The municipalities committed to sharing knowledge, skills and best practices in water and sanitation, local economic development, finance management, tourism, good governance and community participation. Nxumalo said the memorandum encouraged co-operation between the two municipalities in order to bolster service delivery, which would allow them to deliver on their political commitments to the people of KwaZulu-Natal. “I am particularly pleased with the fact that the water and sanitation unit has already started working with uTthukela municipality on areas where we can share best practice in terms of water provision and preservation. “We are optimistic about this agreement because we already have a completed water project at Bulawayo in Zimbabwe where we also have a Sister City relationship. “I am confident we will start reaping the fruits of this agreement before the end of our term in 2016,” Nxumalo said. co-operation, in order to ensure that their agreement does not end on paper. Mazibuko said they were looking forward to working with eThekwini for the benefit of their communities. “eThekwini is the best run municipality in the country. “We are the first municipalities to sign this kind of agreement,” she said.